Here's the deal: you get a call from the tour manager of an artist you've been dying to play with, but the gig enforces strict limits on stage volumes, with in-ear monitors only and no traditional guitar cabs permitted. How do you handle it? Fortunately, there are several rig solutions that will get you there these days, and with excellent results. But embracing them requires a perspective-shift for the more traditional guitarists among us, and some thought is needed to determine which of the many options is likely to be right for you. For about the first 50 years or so of rock 'n' roll, guitarists had one realistic option for making music live or in the studio: You put your amp up on stage, stick a mic in front of it, and play. And good luck handling the noise levels, complex tone and effects changes, or anything else necessary to a successful performance. 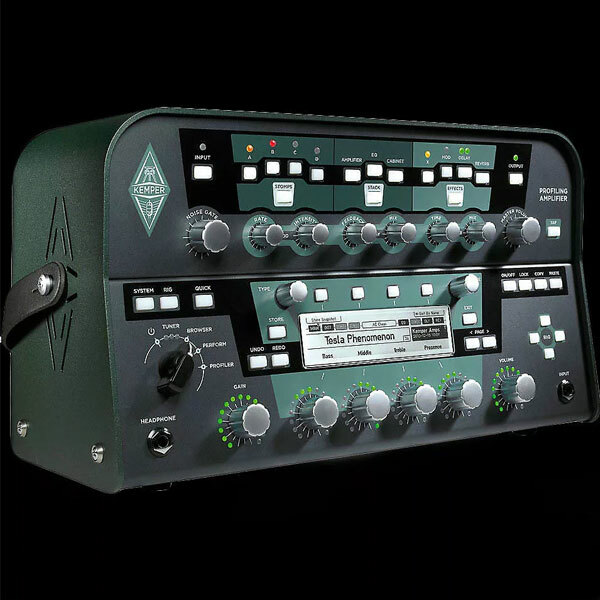 Today, however, there's a new world of guitar-tone-generating products available to the gigging and recording guitarist—many of which can make your playing life exponentially easier and will often put a smile on the sound engineer's face, too. The great thing about such alternatives is that, while there's a ton of modern solutions available to entirely replace your traditional tube amp, there are also several great products that allow you to fold your beloved Plexi, Twin Reverb, Mesa/Boogie, or tweed Bassman into a stage-friendly, zero-decibel rig. Let's take in brief overviews of the different categories of gear that will get us to our destination, then consider which solutions might be best for which types of guitarists. Please note that this isn't intended as an exhaustive assessment of the products in each of the following categories, but is more of an overview of how each type of solution might fit such modern performance needs. Digital modeling amps have been with us for two decades, but only in recent years have they approached the levels of quality and functionality that have made them universal threats to the traditional tube amp for professional guitarists. 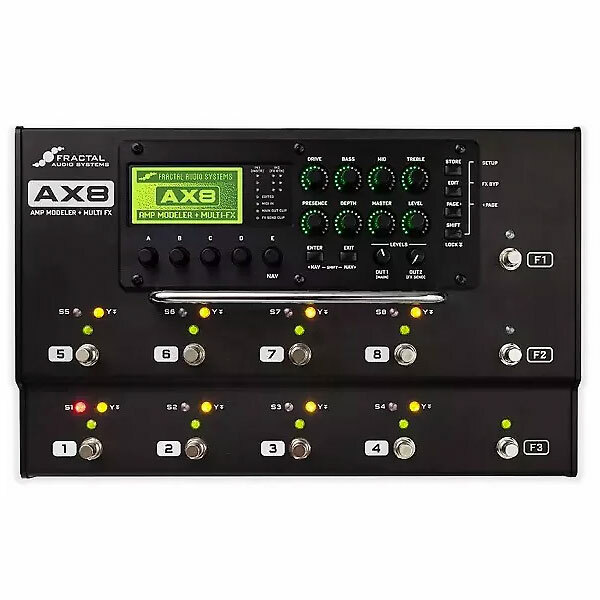 The Fractal Audio Axe-FX, Line 6 Helix, and Kemper Profiler—and all of their various iterations (Fractal's scaled-down AX8, for example, which uses the same processor)—represent the big triumvirate of tour-ready options in this category. Atomic's AmpliFIRE products have also picked up fans as a somewhat more affordable modeling alternative. No, these don't all do things exactly the same way: the Line 6, Fractal, and Atomic products use digital emulation of classic and modern tube amps, while the Kemper uses digital technology to profile stages within such amps, and the effects you use with them, to accurately reproduce their sound and feel. These products were initially hyped for their delivery of dozens of legendary vintage and modern tube amps in one compact box, plus scads of effects, and the ability to switch swiftly and seamlessly between several presets made up of your own player-tweaked renditions of all of the above. Their real selling point for guitarists who need to please dictatorial stage managers, though, is that they provide amp tones that are consistent from stage to stage, night to night, at whatever front-of-house (FOH) volume the sound engineer chooses to set them. No more heated arguments about turning down your amp to control stage volumes, and no more fears about suffering totally emasculated tone because you were forced to run your Plexi's volume at 1.5. Brand-new, available direct from Fractal via waitlist. 259 amp models, 2,237 speaker configurations and responses, as well as 37 drives, 18 delays, 44 reverbs, and many more effects. Also features an 8-in/8-out USB audio interface. 180+ amp models and 750+ speaker simulations with a build-your-own functionality and hundreds of open user presets. Effects modeled after famous stompboxes, including 29+ drives, delays, reverbs, compressors, EQs, and more. 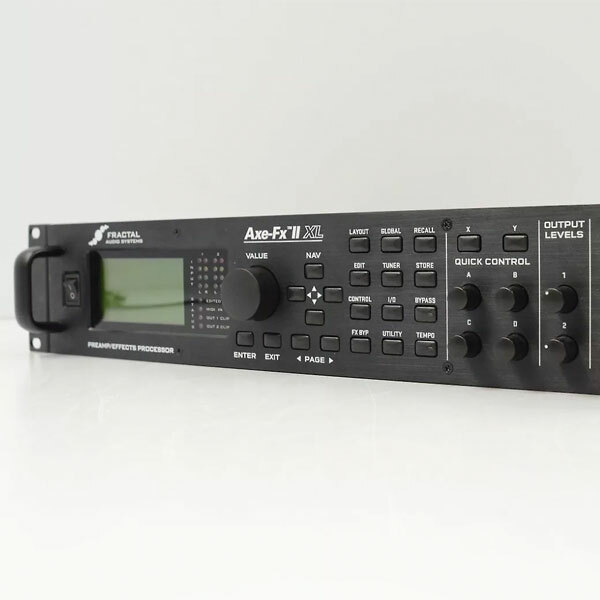 Available as a head or rack unit, with or without power amp. 100s of pre-installed amp/cabinet/mic setups, but can profile any real-life rig as well. Unlike modelers, it does not separate amp, speaker, and mics, but rather profiles all at once. Includes 7 drives, 17 delays, 6 reverbs, and many more effects. Available as a floorpedal or rack unit. 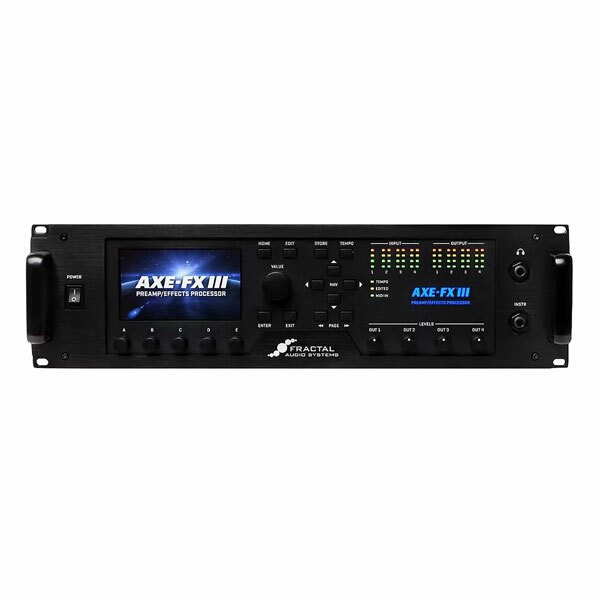 Features 72 amp models, 37 speakers, and 16 mic placements, along with 194 effects. 8-in/8-out USB audio interface. A streamlined floorboard model with 200+ amp models, 700+ speaker simulations, and 130 total effects. A newer sub-species of the amp-alternatives genus, but one that's gaining a lot of popularity lately, is that of the speaker cabinet emulator (aka simulator). The more fully functional, all-in-one versions of these contain a load box that can handle the speaker output from a conventional tube amp, absorb it, and convert it into a line-level signal that is then run through either digital or analog processing to recreate the sound and feel of a traditional speaker cabinet. The reason to do this is so that you can still use your favorite old-school tube amp, entirely retaining the familiar sound and feel, while still corralling that into a signal which—as with the modeling and profiling amps above—can be used by the FOH engineer at whatever decibel level suits the stage and the venue. Special bonus perks include the ability to carry with you the sounds of a selection of different classic speaker cabinets, without having to own or haul the real things, which would be both prohibitively expensive and extremely cumbersome, while also letting you "mic" them via several classic microphone emulations. The more complex of these units let you select from, for example, a basket-weave '60s Marshall 4x12 with pre-Rola Celestions, a Vox 2x12 with Alnico Blues, a ported 1x12 with EVM 12L, or a tweed 4x10 with Jensens, and several others, depending on what suits your needs on the night. They also have associated apps so you can tweak the cabs, speakers, mic placement, and other factors, and load your own presets. The two big professional cab emulators gaining ground in recent years are the Two Notes Torpedo units and the more recently released Universal Audio OX Amp Top Box, both of which do their emulation thing digitally, if somewhat differently (UA's OX also adds high-quality reverb, compression and delays, among other things). 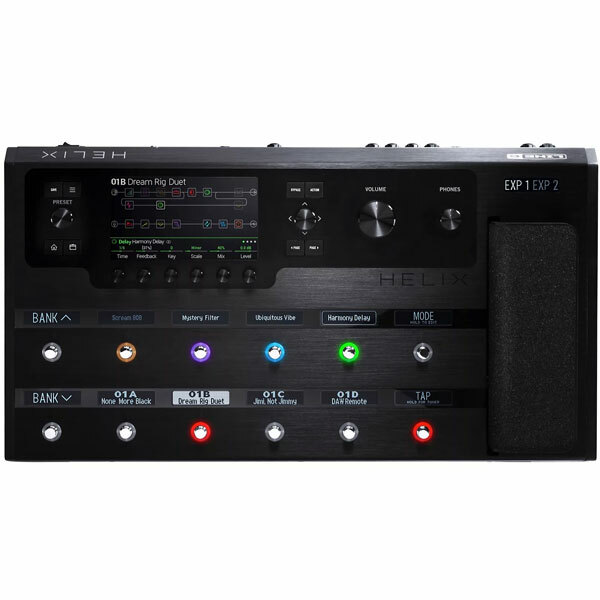 With most of these products, you simply treat your signal on stage as you would any other amp-alternative that begins with a line-level DI signal, monitoring yourself through the stage wedges, in-ear monitors, or some form of back-line monitor that functions more like a full-range, flat-response speaker. Universal Audio's OX is a little different, though, in that it also includes a high-quality reactive attenuator that lets you send a signal onward to a traditional guitar cab for onstage use at a lower volume than you'd achieve straight out of your amp. As such, in the OX's case, you can either turn that attenuator to "0" and go purely via the monitoring system, or use the appropriate setting to hear yourself through your speaker cab, or use a blend of the two. Standalone load boxes have also become more and more popular in recent years. They allow guitarists to break out the different functions of the all-inclusive units above and put together their own load-and-simulation solutions, which might prove either more affordable or more flexible than pricier all-in-ones like the OX or Torpedo. In the studio, guitarists have long used load boxes to track "dry" guitar parts in order to apply speaker cab emulations via digital plugins at a later date. In the live arena, you'll need a stand-alone cab emulator to make them sound right on stage (unless you're set up to run through digital plugins in a low-latency situation). To this end, more and more makers are producing handy pedal-sized cab-sim units, like the Neunaber Iconoclast, BluGuitar BluBox, Digitech CabDryVR, and Two Notes Torpedo C.A.B. (which contains much of the digital emulation tech of the bigger Torpedo Live and Studio units, without the built-in load box). Plenty of professional guitarists are getting total satisfaction from each of the solutions outlined above, but which is best for you? If you like the idea of dispensing with tube amps, while also achieving dramatic and near-limitless sonic scene changes at the touch of a toe, one of the digital modeling or profiling amps would likely fit the bill. If, on the other hand, you don't need a whole palette of radically different voice changes, then the familiar feel, sound and response of the traditional tube amp that you're already using might be not only the best solution, but the simplest. Instead of carting a speaker cabinet, send your amp's signal to the monitors and FOH via a good cab emulator, and you're set. Whichever modern-amp alternative works for you, the zero-decibel stage is an easy reality to attain these days, and shouldn't scare any guitarist away from the gig.